First, they came for the drones. Would that it were unnecessary to say “figuratively speaking,” but in an era when fundamentalist literalism is on the rise, it is always necessary to be perfectly, perfectly clear. Signal: The following may include exaggerations, sarcasm and, possibly, snark, all intended to make life somewhat more bearable. Then again, hyperbole is superfluous when real life is so absurdly over the top. Thanks to  Judicial Watch, the conservative-leaning watchdog group, and the Daily Caller, we recently have learned about the Agriculture Department’s magical diversity training programs—i.e., “professional development opportunities”—wherein employees learn how they ought really to “think” about things. Lessons include such angst-inspiring tropes as: The United States has destroyed other nations, we all commit sins of discrimination and America should repent and stop being so proud of itself. The sessions recently highlighted are not new. Most corporate employees, and all American students, have been exposed to this wee-minded busy-ness. More than a decade ago, I wrote that the demise of newspapers was owing more to the human resources department than to the explosion of the Internet. The “tidy-desk memo mentality” of management bean-counters began killing newspapers long before pajama-clad bloggers began mastering hyperlinks. “I want you to say: ‘If we work for a federal agency.’ Say that. (Audience repeats.) ‘We have discriminated in the past.’ (Audience repeats.) Say: ‘Every federal agency’ (audience repeats) ‘has discriminated against African Americans’ (audience repeats), ‘Hispanics’ (audience repeats), ‘Native American Indians’ (audience repeats) ‘and other groups’ (audience repeats),” Betances preaches. In other clips, Betances regales his audience with a little history lesson. Not only did the United States steal the lands that are increasingly being populated by illegal immigrants (Texas, California, Arizona)—hence, implicitly, they have a right to re-occupy—but also, America’s founding fathers took their governing cues from Native Americans. Oh, and they stole their symbol, too— the bald eagle. Well, gosh, I feel so bad about all this that I’d like to cede the lower United States to Mexico and adopt the chicken as the national symbol. There’s no end to the ways by which nations can make recompense to those whose fates were altered by history. Shouldn’t we all just pack up and return whence we came? Sensitivity training, alas, is one of the many legacies of our sundering of the family, which has led necessarily to greater dependence on third parties to instruct and order. We are unlikely to hear much about that in the next government diversity seminar and, soon enough, there will be none left to recognize that there is something wrong with this picture. 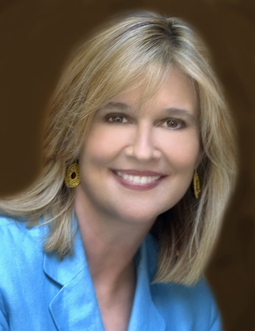 Kathleen Parker’s email address is kathleenparker@washpost.com. (c) 2013, Washington Post Writers Group.